"Flavors and Splendors of Provence"
Join The Asheville School of Wine and Sylvie Delaunay of Provence Detours on Sunday, May 20th from 3-4pm @MetroWines for a wine tasting with cheese and charcuterie to accompany a presentation about the cuisine and culture and discussion of a hosted tour of the area. Sylvie Delaunay, owner and operator of Provence Detours, will offer a power point presentation called "Flavors and Splendors of Northern Provence" with details of the planned trip to the area. From Provence Detours: Nestled in the Rhône Valley at the northern end of Provence, our tours explore the riches of Drôme, home of the Côtes du Rhône wines. Relax and savor the charm and peacefulness of rural Provence as you experience Drôme’s sprawling vineyards, brilliant lavender fields, mountain-perched villages, and sunny blue skies. It’s a region you shouldn’t miss — home to its own identity and culture, stunning landscapes, and incredible local flavors. Take the time to stop, explore, and savor parts of France you never knew existed. Meet the local shop owners and proprietors who have called the region home for generations. Experience sights and sounds off the beaten path — exploring places no other tour does. Taste the food of the region, grown mere steps from the medieval villages you’ll explore. Taste wines from the vineyards you’ll see as you explore the region. Local farms, olive groves, forests, and orchards provide the quintessential Mediterranean fare you’d expect for a journey through Provence. Explore historic villages, perched atop mountains and cliffs, wandering the cobblestone streets and soaking in the warm French sun. Rest easy at the end of each day in a warm and inviting bed and breakfast — you’ll enjoy the same location the duration of your trip — where you’ll connect with your travel companions, share stories, and build relationships with people from around the world. The event is "on the house" but seating is limited. Please reserve your seat by calling (828) 575-9525 or shop online here: https://www.metrowinesasheville.com/store/special-events/and reserve your seat. Please join The Asheville School of Wine for a wine tasting with Nicola Cerini, Export Manager for Italian Wineries, Bove and Rubbia al Colle, on Monday, April 23rd from 5 to 6:30 @MetroWines. The tasting is "on the house.' parking is free, close and easy. Three generations of the Bove family have called the rich farmland of Avezzano, Abruzzo, home. Here, they have nurtured wine grapes that grow plump and favorful nourished by soil from what was the bed of Italy’s largest lake. The lake was drained in the late 19th Century to create new agricultural lands – giving birth to modern day Avezzano. Rome may have its historic prominence and Venice its pic-turesque canals – Avezzano itself has a history reaching to the Paleolithic period. As its inhabitants developed agricultural prominence in the early 20th Century, a devastating earthquake all but eradicated the city. Staunch residents rebuilt only to be bombed repeatedly during World War II – until liberated by the New Zealand Army in June 1944. Families rebuilt again – and today Avezzano has come into its own for both its high quality agricultural products and its emergence as a center for tech industry. The Bove family, who founded their cantine in 1930, epitomize the pride of the Avezzano people and embrace their role as stewards of the land and the surrounding natural resources. And, as the saying goes, it takes a village. The Bove family works closely with local farmers to resurrect varieties like Pecorino that had nearly disappeared from the region. Likewise, refined cultivation of the fabled Montepulciano grape has resulted in wines that exhibit the region’s true character. The wines have been forged from hardship but drink with enjoyable and with well-earned maturity. Bove wines express the character of the region’s fruitful terroir and the dedication and passion of the Bove family. A high-tech bottling line shows the family’s eye for the future. Careful sourcing from optimal vineyards and careful grape selection are hallmarks of respect for quality and tradition. We also had a fantastic tasting featuring the wines of Donkey & Goat. Based in California, they take a very holistic, "hands off" approach to wine making: natural, sustainable, and biodynamic practices at the vineyard; in the cellar they don't add or take anything from the wine, and they ever only use minimal effective sulphur. They don't stabilize, fine, or filter their wines at bottling. The result is a world of flavors that you don't usually get from these varietals, with a fantastic texture to boot. And, from what I hear, no donkies, nor goats, are ever harmed in the making of the wine. The Asheville Chapter of Engineers Without Borders invites you to a wine tasting to benefit the good work of the organization on Friday, April 13th from 5 to 7pm @MetroWines. Engineers Without Borders, a non-profit, is a team of experienced professionals with backgrounds in environmental, manufacturing, chemical, civil, mechanical and software engineering. In 2015, our team of Asheville engineers (http://ewbasheville.org/) saw children kicking a soccer ball into a medical waste burn pile in Uluthe Village Kenya. A year later, in collaboration with the community, we completed the building of a safe medical waste incinerator at the Uluthe Medical Hospital and Dispensary. The current project aims to improve medical waste disposal at the larger Siaya County Hospital near Uluthe. The hospital serves more than 300 people each day, that's 106,800 people every year providing all types of medical services including antimalarial drugs and antiretroviral drugs, HIV testing, prenatal care and childbirth as well as first aid and surgery. Donation for the event is $20, includes glass of red, white or rose. Tickets HERE. Can't join us but want to make a tax deductible donation? In a bizarre turn of events, the focus group was almost evenly split among the four wines presented by Mike Tiano of Haw River Wine Man. But, I think I saw one more hand for the Colterenzio Pinot Nero. OK, it was my hand but, hey, I count! I love this wine. 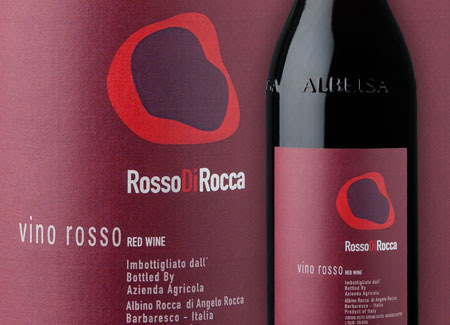 Brilliant ruby red in the glass, fresh fruity on the nose with aromas of red currants and black cherry. Colterenzio is medium bodied with ripe berry flavors on the palate. Soft tannins and integrated aciidty round out the wine. This Pinot Nero could go 2-4 years in the bottle. Bottom line is that a Pinot Nero (Pinot Noir in France and Blauburgunder (OUCH!) in Germany and Austria) of this quality at this price, $16.99, is hard to find. Find it @MetroWines! Tellus Vinea 2016, an unoaked Bordeaux imported by Neal Rosenthal, was a close second, a hand away, OK OK, my hand. But I love this one too. 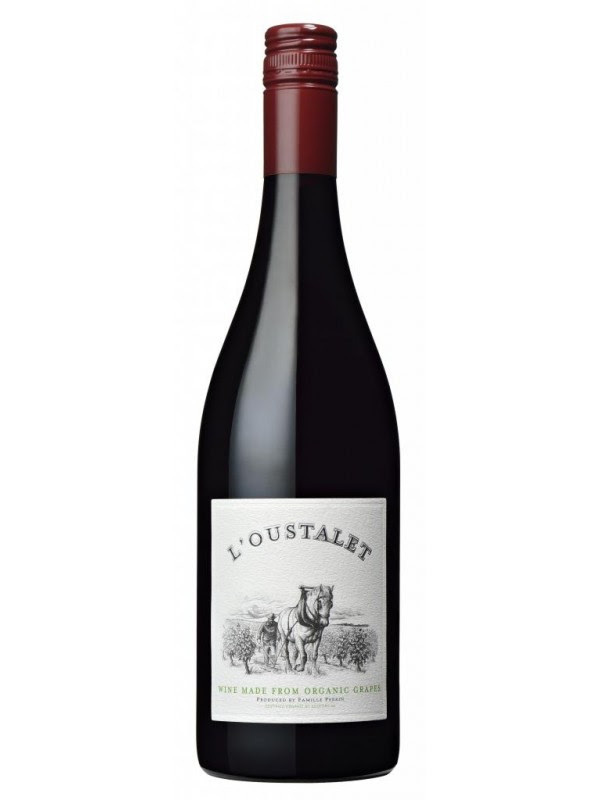 This blend of Merlot and Cabernet Franc is earthy and fruity with a waft of cherry. The wine is fermented in concrete allowing the true flavors of the grapes to speak without being smothered by oak. That said, this is a versatile Bordeaux. They poured the wines, and I started tasting, mentally composing a white lie to explain why I couldn't buy them. Then I realized that they were in fact exactly right- very flavorful, honest, well-made wines at a perfect price. In a sense this is an importer’s highest achievement; it’s pretty easy to find good wine at $50 a bottle, but very difficult at less than $10. This extraordinary bottle is $10.99 @MetroWines. The Vallevò Pecorino is fermented dry and aged on the lees in stainless steel tanks, and bottled in the Spring following the vintage. Makes a great dry aperitif and works with a range of foods, from seafood to vegetables. Also a winner, Ostatu. Not a new wine to the shop but a constant favorite with customers and, as of last night, the Focus Group. The Focus Group liked the acidity and freshness of this wine. It is a"porch sipper" or the perfect partner to seafood. The winery says: The Rioja Blanco 2016 from Bodegas Ostatu is a blend of 85% Viura and 15% Malvasia from the highest parts of their oldest vineyards - the vines are between 30 and 80 years old. 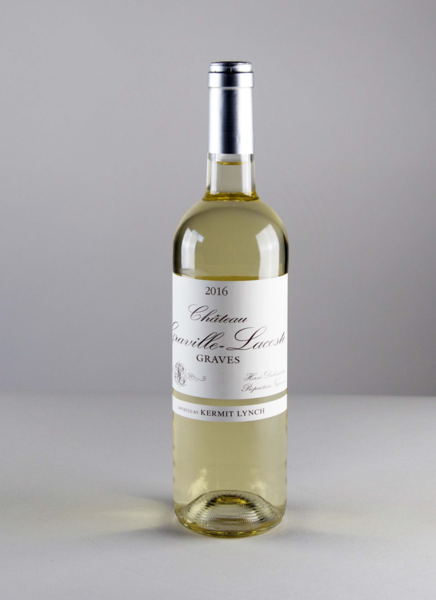 Pronounced aromas of nectarine, passion fruit and peach, give way to a fresh, lively palate with vibrant acidity and a spicy finish with hints of ginger and lemongrass. is another fruity, tasty red to drink now and over the next year or two. are laced into the supple, racy finish. That's Pistou on the label, the horse that still works the fields! L'Oustalet is just as dependable and, oh yeah, red beans and rice approved. The Perrin Family has been pioneers in organic viticulture in France. Jacques Perrin being engaged in its development as early as 1950. this natural approach to viticulture has one maine goal: to encourage the roots to grow deep. When this happens, they interact with the soil's complex structure and produce grapes with marvelous intensity and balance. L'Oustalet is no exception. A blend of Grenache and Syrah, the wine displays superb aromas of juicy fruit, cherries, spices and smoked meat, with texture and balance. You Like Semillon? Don't Forget Graves! A blend of 75% Semillon, 20% Sauvignon Blanc and 5% Muscadelle. Please join us for The Asheville Wine Focus Group on April 4th, 2018 from 5:30-6:30 @MetroWines as we welcome Bryan Hendershot of Mims Distribution, in business over 50 years, to host the evening. Bryan will present four wines for participants to consider. "Participants are asked to play wine shop owner for the night," says Gina Trippi, co-owner of MetroWines. "Participants will taste the wines and answer whether like the wine, do they believe others will like the wine, should the wine be carried @MetroWines, and what should the wine cost." About: Wine Tasting with Laurence Vuelta! The Asheville School of Wine presents the best show in the wine world, Laurence Vuelta of Aveniu Brands hosts "Bodega Septima: A Taste of Mendoza, Argentina" on Thursday, April 19th starting 6pm @MetroWines. "This tasting with tapas is a twice yearly event @MetroWines and customers began reserving seats at the last event in November," says Gina Trippi, co-owner of MetroWines. "@MetroWines, we say that if you have not been to a wine tasting with Laurence Vuelta, you have NOT been to a wine tasting!" Wines include Bodega Septima Chardonnay, Cabernet Sauvignon, Malbec and, from the oldest family owned winery in the world, Codorniu Gran Reserva Pinot Noir Brut Cava. Juniper Cooper of Mutual Distribution will also join us for the event. And wines will be available for a special event price that evening @MetroWines. adding complexity with a hint of dried herbs, adding complexity. The wine starts with a dark berry and lovely texture and to the mid palate. 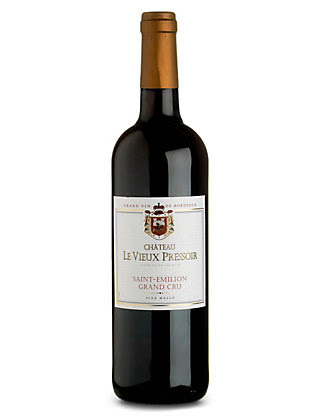 Lovely ripe textural tannins rise gracefully out of the mid-palate to finish the wine. The wine is balanced by the acidity and fruit producing long fruit-driven finish. caraway and black cherry flavors. Smooth and creamy on the finish. with a softly dusty finish reminiscent of cola and espresso. to help in the effort to save The African Wild Dog. Hunted for their magnificent coats and losing their homes to humans,between 5,500 and 7,000 are left in the world. Painted Wolf aims to stop the extinction of The African Wild Dog. The den wines are social wines to be enjoyed with friends and family. These wines are named for the den, the heart of African Wild Dog communities. Flavor-packed, soft and juicy comfort wines for every day drinking. guava and pineapple host an underlying savory minerality and a lick of wood. keeping it fresh and vibrant. Grown and made wine in South africa. and "read it with" this NYT article on Johannesburg. with an appealing wood influence that integrates well into the wine. balance out the toasty oak. Drinks way above price. with the winemakers, including Bocelli !! and their families. You do not want to miss this virtual trip into the wine world. Going Facebook LIVE from 5:30-6pm! Jared Brandt of Donkey&Goat,the 2018 featured winemaker at the highly regarded Charleston Wine&Food Festival, will join us to pour wines "on the taste" and "on the house" @MetroWines on Tuesday, March 6th from 5 to 6:30. Donkey & Goat Winery is owned and operated by Jared & Tracey Brandt in Berkeley, California. We make “natural wines” which is a term that covers both the vineyard and the cellar. That is what distinguishes natural wine– the extension of natural farming philosophies that drive the practices for sustainable, natural & biodynamic farming into the cellar. Our wines are made from sustainably (or more) farmed vineyards in the Sierra Nevada, Mendocino and Napa. In the cellar nothing is removed and nothing is added save minimal effective sulphur. Sulphur is a contentious issue in the natural wine world. We have made wines with zero sulphur added but in general we do use minimum effective sulphur. Or we use as little as possible and our levels going into bottle fall within the predominant guideline for natural wines in Europe. Our wines are bottled without stabilization, fining or filtration. While not required, we include our ingredient list on our label which is remarkably short: grapes and minimal sulphur. We have made our wines in this manner since we created Donkey & Goat in 2004 and will continue to do so until we stop. "The Read it With Bottle"
north-east of Orange in the heart of the terroirs of the southern Côtes du Rhône. The estate is one of the oldest in the Rhone Valley. working in the era of Louis XIV are still present on the property. with a dry but fruity freshness on the palate. 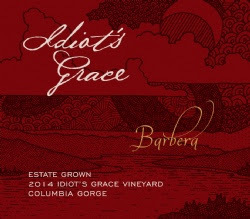 Not quite as widely known as other wines from Columbia Gorge - Washington. In contrast, this wine has been getting more popular over the past year. We can only find a few stores in America that have this wine. at 18 South Pack Square. 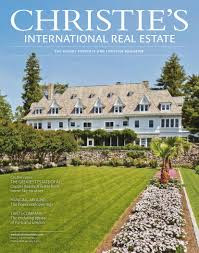 The event, with hors d'oeuvres, wine poured by MetroWines! and art from Momentum Gallery is open to our customers. And it's ALL the Rage! Founded in 1890, the distillery of Castelnuovo Don Bosco was purchased in 1906 by Carlo Quaglia, the great grandfather of the current distillery director. Based in The Piedmont, traditional knowledge of distillation, liqueur, and vermouth has been passed down through generations. 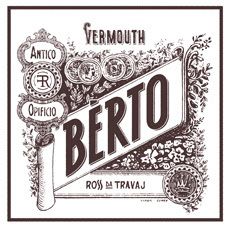 The Bèrto red vermouth (Ross da Travaj) and white vermouth (Aperitiv dla Traddission) are standard-bearers of traditionally produced sweet vermouth from The Piedmont. The recipe dates back to the 1930s. The vision was to create Piemontese Vermouth that could stand on its own as an aperitif or after dinner drink. Enjoy Berto in wide glasses or in a tumbler with ice and an orange peel. Jody Allen, Vice President for National Accounts for August Wine Group, will pour wines from "Small Vineyards" on Saturday, March 3rd from 3 to 6pm "on the taste" and "on the house" @MetroWines. "Jody brings you into the the world of wine with personal stories of his experiences at the wineries and with the winemakers and their families," says Gina Trippi, co-owner of MetroWines. "This is a real opportunity not to be missed!" Small Vineyards brings labels you know including Bocelli and Arcangelo.